The TFS Productivity Pack is an open source set of extensions to Visual Studio designed to improve your interaction with TFS. It includes functionality to make navigating to and from the source control explorer much easier as well as advanced compare tools and the ability to branch build definitions to work against other branches. 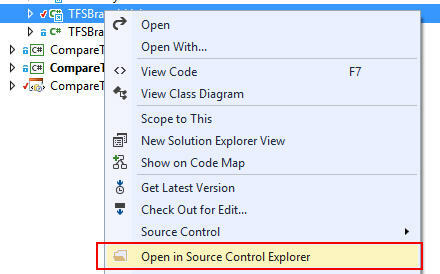 For The Visual Studio 2013 version see here.